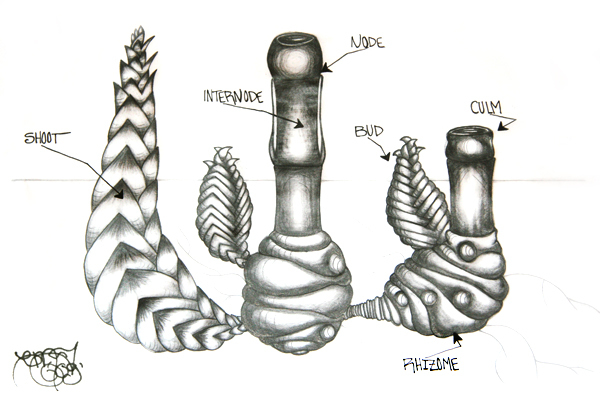 Below are our drawings of the way bamboo propagates. Please feel free to link to these. These images were drawn by Casia Townsley, our utmost appreciation for her artistic talent and her love of the bamboo plant. Above, the running Bamboo growth habit. Above, the clumping bamboo growth habit. Unearthed rhizome from species with a running growth habit. 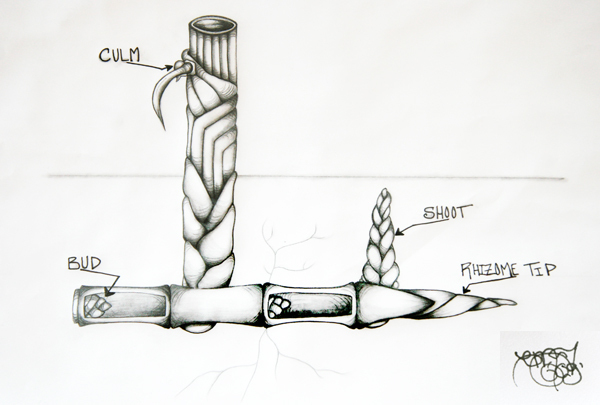 The new shoot development of roots after the rhizome sprouts above ground. 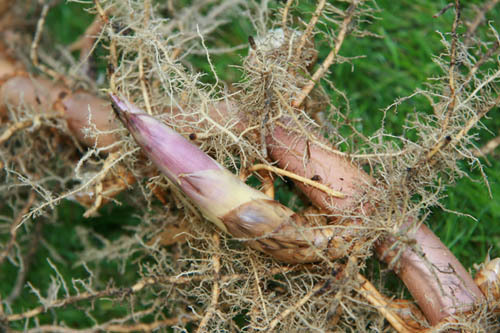 Cultivating bamboo can be from seed if you can locate it, but great success can be with the underground rhizomes. 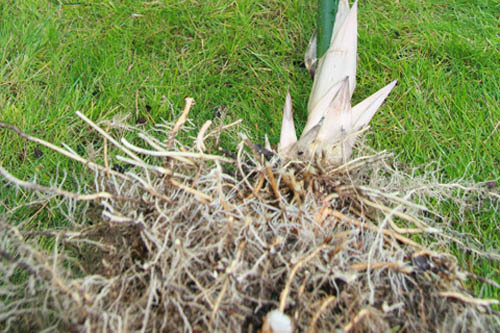 When digging rhizomes, keep them moist and never let them dry out. You can heel them in under soil or compost for a time, but eventually they should be buried about 8-9" below the ground in rich, moist soil with good drainage. If you buy a potted specimen you can pull the bamboo carefully out of the pot, divide it, or prune the rhizomes to propagate additional plants.